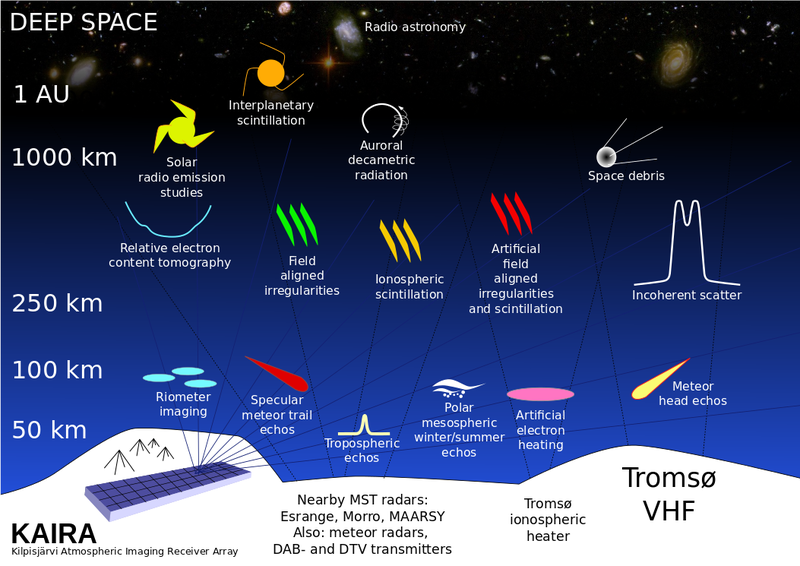 But what if the radio signal is not coming in from directly overhead? Well, as that signal goes away from the vertical position, the result will decrease. Not only will the reflected signals miss the receiver, but they will be adding out of phase as well. At some angles, the radio waves from different parts of the system interfere. 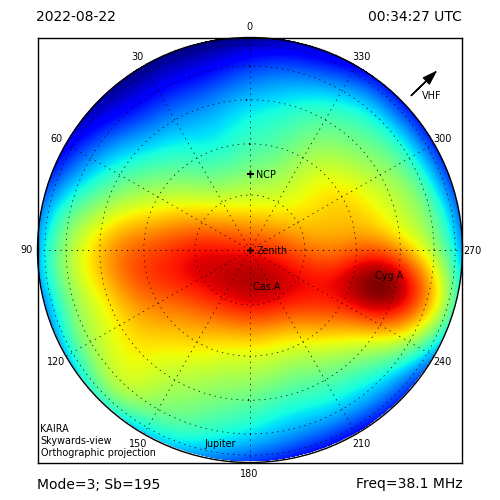 This can result in zero signal at certain angles where the radio waves from the different parts arrive out of phase, and enhanced signal at other angles where the radio waves arrive in phase. So if you have a set of reflectors that are carefully adjusted to give good signal addition in a particular incoming direction, and then your radio signal moves, you have to tilt the entire set of reflectors and the receiver to follow it. That is, you change the direction in which your system is most sensitive. 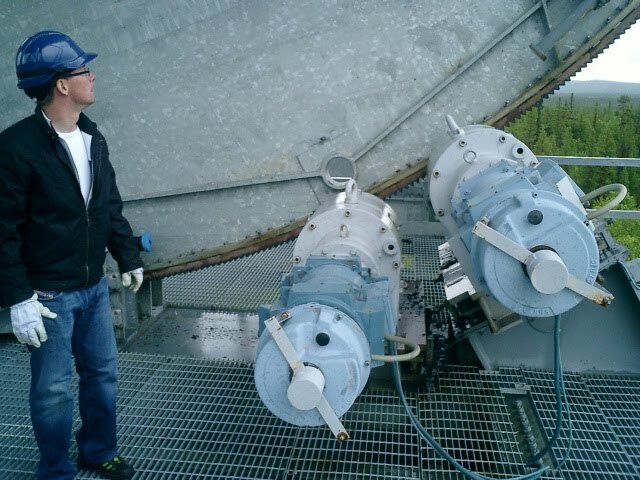 This is the reason why radio dishes are usually made so that they can be steered. But this presents problems: as the size of the system gets bigger, you need more and more steel for the backing structure, bigger and bigger motors and better and better controllers to cope with structural deformations at different angles, wind loading and so on. 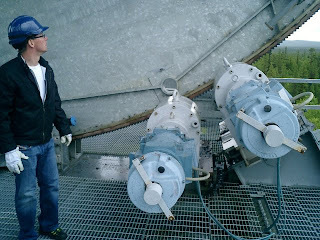 The elevation motors on the Kiruna 32m antenna. 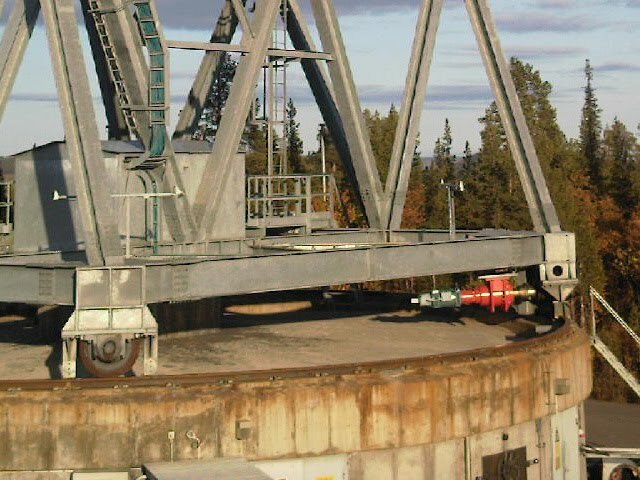 (grey+red) on the Kiruna 32m antenna. As a result there is a limit as to how far you can go. 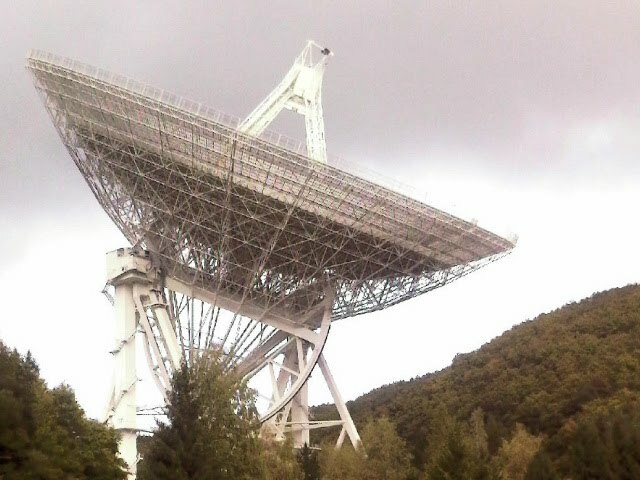 Thus the largest fully-steerable dishes are typically 100 metres in diameter, such as the Effelsberg Radio Telescope in Germany.